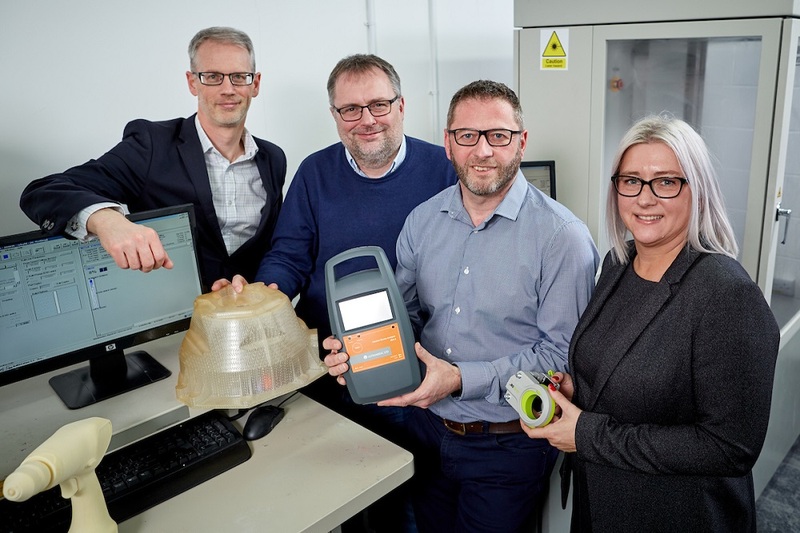 A product development consultancy which is generating new jobs on a former colliery site is set for further growth following a £100,000 loan from NPIF – Mercia Debt Finance, which is managed by Mercia Fund Managers and is part of the Northern Powerhouse Investment Fund. Sheffield-based AME Group is one of the UK’s leading independent product design consultancies and is behind many best-selling products, from Dettol soap and Morphy Richards food steamers to Harris paint brushes and B&Q Performance power tools. The company was set up in 1996 from Ian Jones’ kitchen table after he was made redundant from his job with British Coal. Ian was soon joined by Paul Howell, Managing Director. Based on the site of the former Dinnington Colliery, AME now employs over 20 staff and has a turnover of around £1.5m. It is one of a few firms of its type outside London with a blue-chip client base and the company also offers in-house rapid prototyping using the latest 3D print technology. AME services span sectors from fast-moving consumer goods to medical and automotive and customers including Dyson, Smith & Nephew, GlaxoSmithKline, Hornby and Unilever. The company now plans to strengthen its design team by creating multiple roles over the next 12 months.